Wan o the things I love best aboot listenan tae BBC Radio Shetland or BBC Radio Orkney is the wey the presenters use thur local language wae a full, crisp, confident voice – withoot the least peedie bit o a cringe, nivver mind any sense o cultural inferiority. The original broadcasters at BBC Radio Orkney and BBC Radio Shetland in the seventies and eighties were heroes o thur profession, who persevered tae bring thur language tae the fore. Spaekan Orcadian or Shetlandic on the radio haesna always been easy. Wan famous – and famously crass – complaint comes tae mind: ‘Ken is a man’s name, and kent is a county in England’. But ken and kent are northern verbs, used throughout Scandinavia and Germany, and pairt o wur legitimate language -replete wi its own grammar, adverbs, prepositions, pronouns, and soonds. Whar ither than in the Northern Isles wid ye get proper, authentic Scots language like this on the BBC? And whit could be more natural, representative and fittan than Hallo, good morneen and welcome tae Aroond Orkney fae the BBC. The news bulletin itsel, as weel as political interviews (both questions and answers), hard news reports aboot NHS, Rural Payments, renewables developments, mart reports, fisheries policies, the fortunes o the SNP or the Lib Dems, cultural items – furtivver – are aal conducted in rich, broad Orcadian or Shaetlan. Glasgow, the home o BBC Scotland, is thrang wi hunders o thoosands o Scots spikkers. Thur language is rich, expressive, hilarious, humane, profound, and gallus by turns. Yet, in 21st century Scottish broadcasting, Glaswegian Scots, by contrast tae the Orkney or Shetland varieties, remains almost entirely restricted tae comedy and football. Still Game or Tam Cowan’s On the Ball/Off the Ball are some o the best programmes on the BBC, full stop. We aal love them, and the connections atween the Scots language o these shows and the Scots used in the Northern Isles are much more numerous than ye might think. So could we no push Scots cheust a peedie bittie further? River City may yet dae for Scotland and the Scots language whit Coronation Street did fur the language and culture o the North o England. When Tony Warren penned Elsie Tanner’s immortal line o soliloquy Ee, Elsie, you’re just about ready for the knacker’s yard in 1960, he set in motion changes in linguistic and media representation for the North of England that hiv thur descendants the day in drama like Happy Valley, or the acceptability o ‘Northern’ accents within mainstream broadcasting – includan even the most formal o news broadcasting. There’s no shortage o diversity within the BBC the day. But this diversity doesna extend tae representan the full linguistic reality o Scotland, gaan beyond accent intae language. Wur the last province remainan that is yet tae be touched by this benevolent and beneficial wave o political correctness. Ann Cleeves’ Shetland is wan remarkable step forward. It wis a revelation for this Orcadian viewer tae hear some pretty good Northern Isles Scots in this mainstream setting. The Shelities who hiv pairts in Shetland are tremendous, and the show itsel is a tremendous opportunity for them – in a country whar young actors aal too often hiv tae ape the accents and language o anither culture tae get their next gig. Brian Cox’s weel-documented difference o opinion wae his BBC bosses aboot the acceptable density o Scots/Shaetlan in his own lines in the show points the wey tae the future fur Scots on wur TV screens. Shetland soonds pretty Central Belt-ish a lot o the time, and much o the Shetland language o the drama is faer too diluted for the tastes o most Northern Isles viewers. But consider this: when did we ivver hiv a serious TV drama that even attempted tae represent the real language o the North? Shetland might no be perfect, but it’s a step in the right direction. I don’t ken if the whole country is ready tae hear the news read in Scots yet, and that’s a peety. But there’s lots o ither pieces we could mak a stert. Whit aboot a bit more Scots on Landward or Countryfile? I widna be at aal offended if denser Scots in contexts like this wis subtitled: tae me subtitling raises the status and profile o Scots. Welsh TV drama flits perfectly naturally atween subtitled Welsh and English. And thoosands o folk hiv no problem watchan oors and oors o subtitled Nordic Noir – while the soondtrack flings oot Scots/Scandinavian crossover words like barn/bairns, bra/braw and hus/hoose. The Mart is watched religiously aal owre rural lowland Scotland – fae Gallowaa tae Moray tae Caithness – in pieces whar Scots continues tae be spoken by the majority o folk. It’s owld news noo, but 1.5 million respondents tae the 2011 census reported spaekan or understandan Scots. Wid the sky faal doon if we scripted the voice ower tae a production like The Mart in Scots, as weel as the fairmers’ and auctioneers’ real, recorded Scots dialogue? By comparison, some novelists in Scotland moved fae English narrative wi Scots dialogue tae Scots narrative wi Scots dialogue owre a hunder year ago. Or whit aboot the splendid aerial film o Orkney we haed the pleasure o watchin on BBC Alba a few month ago, wae its beautiful Gaelic voice ower? Hou expensive could it be tae script an Orcadian/Scots dialogue tae accompany this film, and whit wid the dividend be in terms o inclusion and representation for the Northern Isles? Or whit aboot a TV version o the hugely popular Gruffalo in Scots for bairns? A voice ower for The Gruffalo animation widna cost the yird. Katie Morag could be owreset in Scots. The Mr Men in Scots wid be a student cult sensation in the West End o Edinburgh. There’s an urgent need tae expand the possibilities o whit can be broadcast in Scots. I don’t believe for a meenit that these missed opportunities are the result o deliberate policy, or the result o any kind o thrawn BBC badness. They are more likely cheust because o a simple lack o understanding and appreciation o Scots at the top levels, and a lack o professional expertise in scrievan formal material in Scots. Top o me wish list for a reformed BBC Scotland is a simple plea that it better represents the linguistic realities o the country it serves. Wur professionals in Lerwick and Kirkwall could teach their colleagues at Pacific Quay twarthree salient things aboot language, audience, and broadcasting. A jinipperous body cwid remorse at e canny, aa-come vice o rizzon’s aye e Scottish Standard English een, eh? An the Scots vyce is aye coorse an maistlins sweirie wirds. I accept that the Scots vocabulary isn’t particularly rich in this piece and there’s a lot of use of a sweary word, but the exuberant use of Borders demotic to create a recognisable personality type makes this a work of comic genius. There is a rich tradition of Scots in music hall, pantomime and comedy theatre to draw upon and comedic dialogue is a valuable register. The fact that the earnest foil speaks in Invernesian English adds to the fun here. The comic part always gets the best lines! Maun Scots speikers ey be richt? Ahm buyin’ this book! (Maybe some folks will buy ma memoir, RETIRED TERRORIST, Trafford 2011, and understand why a 60-year exile made it difficult tae write it in anything but English). “So could we no push Scots cheust a peedie bittie further?” Naw a peedie bit, push it a’ the wey. Scotland: a kintra an fowk ower cour tae uise wir ain leid aw weys? Scots shoud be prood tae uise wir ain leid aw weys an aw times. But wir aye telt no tae, thon EBC’s agin us, an we dinna lear wir wuirds tae aw the bairns in schuil. Thon’s willint doun-hauden bi wir colonial maisters. ‘Scots Language (Scotland) Act’? Scots fowk shuid be demandin it. Holyrood shuid deleever it ere lang, if no richt noo! Dae Ah no mine ma granbairns watchin ‘The Gruffalo’ in Scots on telly? Micht be wrang aboot tha’ though. A really good article and generous to staff in BBC Scotland. Thank you to Bella for this coverage which has giving me a lot of interesting references to pursue. Just finished Billy Kay’s excellent Mither Tongue. Rather late, I’m sure, but I realise that use of the Scots leid will be an asset to Scotland’s reflourishing. I am currently writing a book – a novel based on the life of a relation whose story I discovered whilst researching my family history. Born in Ayrshire, raised in Lanarkshire, went to Canada and prospered. I am, to the best of my limited ability, trying to put the spoken dialogue in Scots. My literary editor is English, and she admits, after initial travails, she is now tuned-into the Scots dialogue and can follow it. She finds some of the words and expressions refreshing. So Scots still works. I only hope I can do the story justice. I do enjoy my weekly dose of Scots in Bella. ” … wur legitimate language -replete wi its own grammar …” OK, let’s spell the next paragraph in Standard English. 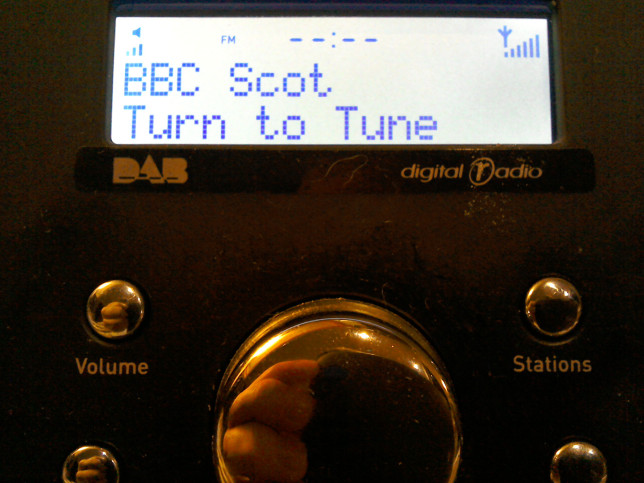 Where other than in the Northern Isles would you get proper, authentic Scots language like this on the BBC? And what could be more natural, representative and fitting than Hello, good morning and welcome to Around Orkney from the BBC. The news bulletin itself, as well as political interviews (both questions and answers), hard news reports about NHS, Rural Payments, renewables developments, mart reports, fisheries policies, the fortunes of the SNP or the Lib Dems, cultural items – whatever – are all conducted in rich, broad Orcadian or Shetland. Where’s “its own grammar”? Unless its just coincidentally the same as Standard English. Are you suggesting the article is in fact not Scots? I’m affirming that Scots has a distinct grammar and drawing your attention to the fact that published grammars are available should you want to acquaint yourself with it. That may well be but my attention was drawn by the lack of anything distinctive about the grammar (vis-à-vis Standard English) of this article in what I assume to be Scots.